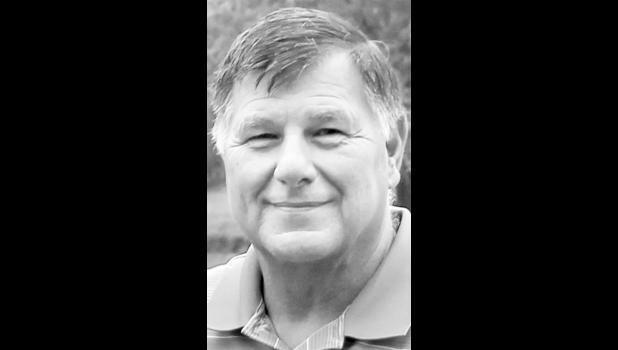 Jon Albert Schuh, 66, Mayetta, died Sunday, May 27, 2018, at St. Francis Hospital in Topeka. He was born April 3, 1952, in Chula Vista, Calif., the son of Albert Ronald and Norma Kinnel Leach. He graduated from Chula Vista High School in 1971. Mr. Schuh worked for the California Forestry before moving to Kansas and working for many years at Schuh Brothers Construction Company in Hoyt, where he built Butler Buildings. He worked the rest of his life at Goodyear Tire and Rubber Company in Topeka for more than 30 years, retiring in 2009. He was a member of Union Steel Workers Local 307. He married Roberta A. Mathena on Sept. 21, 1974, at Hoyt Methodist Church. She survives. Other survivors include his mother, Norma Leach, Holton; three sons, Mathew Schuh and wife Shannon, Holton, Brian Schuh and wife Beka, Marion, and Dustin Schuh and wife Brittany, Topeka; a sister, Susan Richardson, Mayetta; a brother, Al Specht and wife Jan, El Cajon, Calif.; and nine grandchildren, Braxton, Kyrianna, Piper, Peyton, Brogan, Blaine, Bladen, Greysen and one to be born in November. He was preceded in death by his father, Albert Ronald Schuh; his father-in-law, Robert E. Mathena; his stepfather, Lexie Leach; his stepmother, Billie Marie Schuh; and a stepbrother, Dan Welch. Memorial services will be held at 10 a.m. Saturday at Mercer Funeral Home in Holton. Inurnment will follow in Hoyt Cemetery. Family will greet friends from 5 p.m. to 7 p.m. Friday at the funeral home. Memorial contributions may be made to the Jon A. Schuh Memorial Fund for his grandchildren’s education, sent in care of Mercer Funeral Home, P.O. Box 270, Holton, KS 66436.